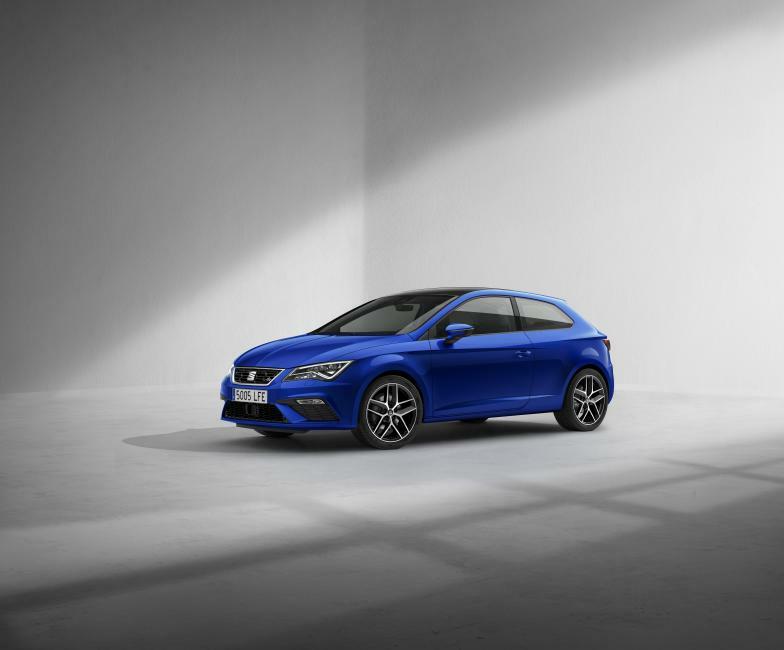 SEAT has confirmed pricing and specification for the third model in its fire-breathing Leon CUPRA range, the ST CUPRA 280. Priced from £28,505 on-the-road, the new “Q-car” offers quite simply performance and practicality without compromise. 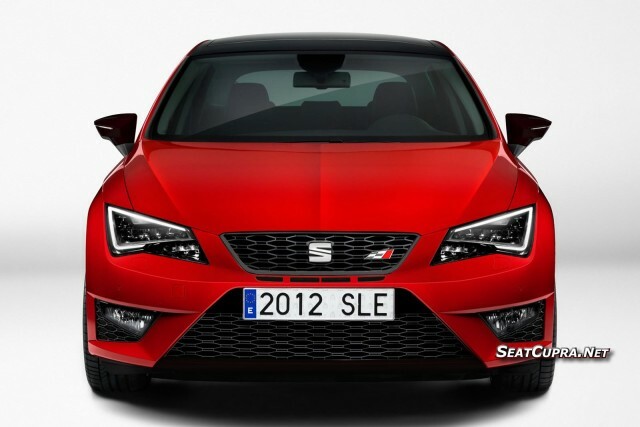 The sporty Spanish brand is now the only manufacturer to offer a flagship performance version in three bodystyles on one of its models. In the Leon’s case, the latest ST CUPRA 280 now joins the fold with its three-door SC and five-door Leon siblings. 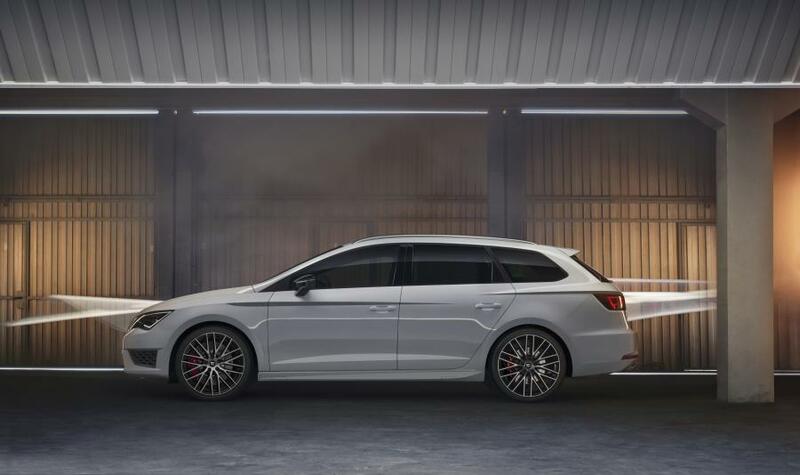 The hottest of the current crop of “hot estates”, the Leon ST CUPRA 280’s two-litre turbocharged 280 PS engine can propel it from 0-62 mph in six seconds (6.1 for manual), before going onto a limited top speed of 155 mph. At the same time, whether it’s a tradesman’s trusty workhorse, or school run load-carrier, it’s still an easy car to live with. With such an impressive amount of power, good looks, solid build quality and high equipment level, SEAT’s latest model can lay claim to having arguably no direct hot estate rival for the money. On paper, its closest mass market competitor is the Ford Focus ST-3. However, not only is it outgunned by 30 PS in the performance stakes, the Blue Oval’s challenger also comes with significantly less equipment. Ominously for premium carmakers, with its 280 PS potency, engaging driving experience, high residual value and large load-carrying ability, the new Leon ST CUPRA 280 is also straying into their hallowed territory from the class above. Inside and out, the ST CUPRA 280 retains all of the Leon ST’s usual style and practicality, including its sizeable 587-litre boot, which rises to 1,470 litres with the rear seats folded at the pull of a single lever. 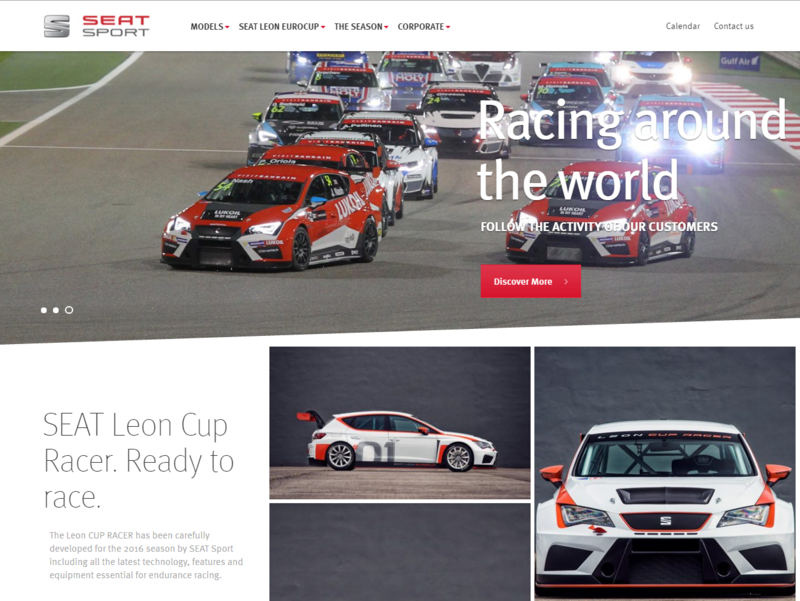 Immediately distinguishable from other Leons, the newcomer boasts 19-inch CUPRA alloy wheels with titanium finish, red brake callipers, rear spoiler and diffuser housing two oval end chrome tailpipes, together with substantial air intakes at the front. As with the other two halo versions in the range, the ST CUPRA 280 comes highly kitted out. In keeping with its positioning as an everyday sports car, it comes with an enviable list of luxury touches and gadgetry to make life that little bit easier and driving even more enjoyable. First up is CUPRA Drive Profile, which enables the driver to alter the car’s suspension, steering and throttle set-up as the mood takes them. The performance theme runs through the interior with a CUPRA leather steering wheel and Alcantara sports seats, while auto lights and wipers, SEAT Media System Plus and DAB radio, plus satellite navigation round off its comprehensive equipment tally. As the Leon flagship, CUPRA 280s can be upgraded to impressive heights. Whether its the fitment of the ‘Sub8 Performance Pack’, or a CUPRA Colour-Line pack (Black, Orange or White), the car is sure to get more than its fair share of attention wherever it’s seen. Straight out of the factory, the Leon ST CUPRA 280 is already a hot estate to be reckoned with. 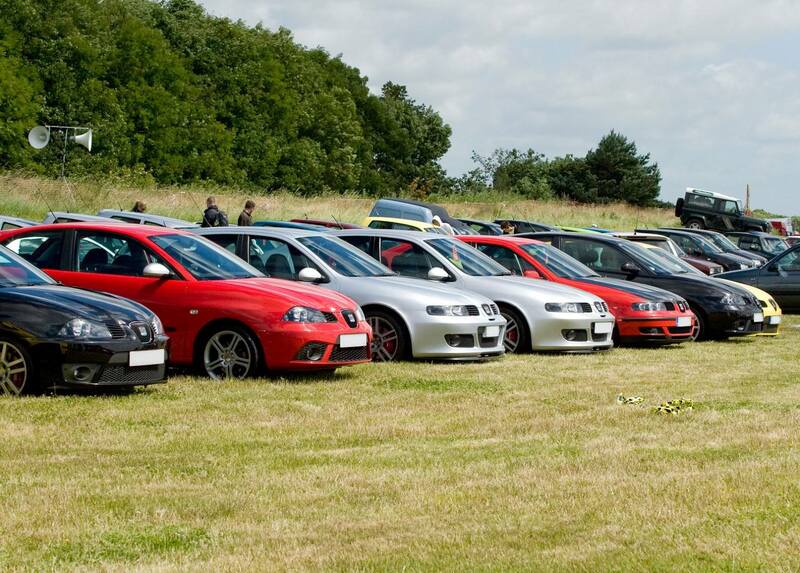 However, owners looking to create something even more special can specify the Sub8 Performance Pack. For £2,025 including VAT, it includes even more substantial brakes, specially-designed 19-inch alloy wheels in either black or orange and body-coloured side skirts. Semi-slick Michelin Pilot Sport Cup 2 tyres, which also featured on SEAT’s fastest production car to date, are available for £460. The aforementioned Black-, Orange- and White-Line colour packs, at £500 will ensure the ST CUPRA 280 stands out for all the right reasons. Taking the standard car’s looks to another level, it ensures the standard 19-inch CUPRA alloy wheels are picked out in black, orange or white, according to the chosen pack, with co-ordinating door mirrors and tailgate lettering. The front grille surround and door mirrors also come in the same shade, with the mean and moody look completed through painted brake callipers (red for black wheels and black for orange wheels). In addition to the styling enhancements, ST CUPRA 280 drivers also have a plethora of other individual options and packs to choose from. Among them, are the SEAT Sound system for £255, Driver Assist Pack (which takes in High Beam Assist and Lane Assist) at £300, and Adaptive Cruise Control (ACC) with Front Assist for £505. 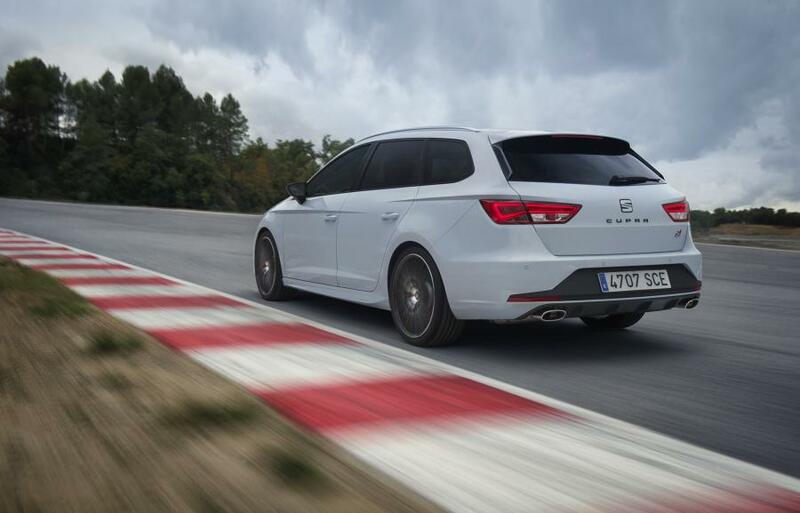 Lastly, for those keen to venture on track with the hottest compact estate, CUPRA bucket seats are likely to prove a boon. For £1,250 they come clad in black Alcantara upholstery with white simil leather bolsters, and feature a one-piece head restraint, CUPRA logo and heating. Potential UK buyers will be able to catch their first glimpse of the latest addition to SEAT’s iconic CUPRA stable at the Daily Telegraph Outdoor Adventure & Travel Show, held at London’s ExCel, from 12-15 February 2015. UK ordering for the Leon ST CUPRA 280 is now open ahead of showroom launch in March.